Happy Halloween! We are so excited for today's festivities. 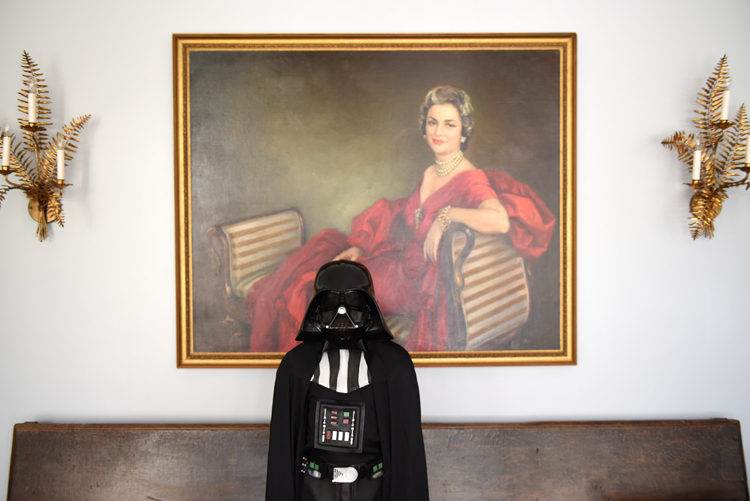 We have gone from the glamorous Queen of Spain (last year's costume) to this year's dark and scarier Darth Vader. Don't ask! We are just excited to have a lightsaber in the house now (and all these years I thought it was called a life saver! Silly me!). What are you or your little ones dressing up as? Wishing you all a happy, safe and maybe a little scary Halloween. Aaaahhh! Your little one belongs IN MY FAMILY this Halloween! Happy Halloween! 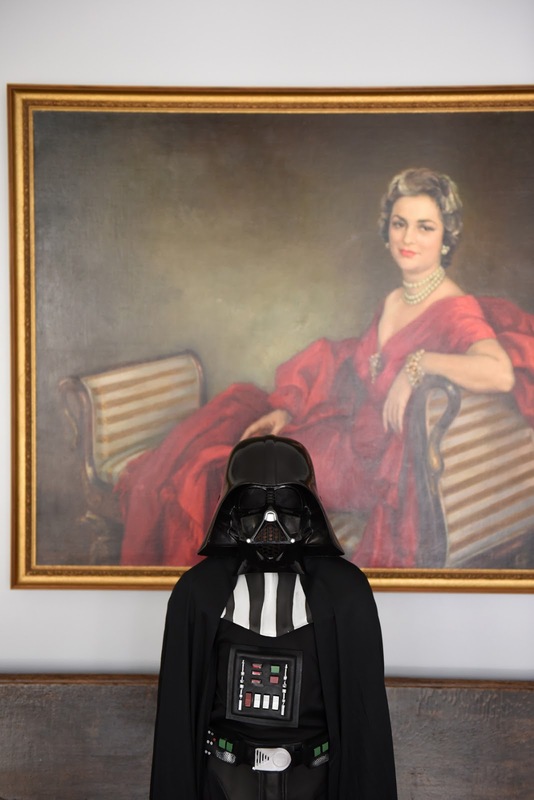 So cute even with this Dark Vader costume! This is a fabulous photo! The painting is stunning and I love the juxtaposition of Miss A with it!